Ulaganayagan Kamal Haasan has been bestowed with the Chevalier de L'Ordre Arts et Lettres (The Knight of the Order of Arts and Letters) by the French government. Earlier on, Nadigar Thilagam the legendary Sivaji Ganesan had also been conferred with this premium honor of the French government. Congratulatory messages and wishes have been pouring in on Kamal and his close buddy Superstar Rajinikanth also wished the Sabash Naidu in his Twitter page. He said,"எங்கள் தலைமுறையின் நடிகர் திலகம் செவாலியர் அருமை நண்பர் கமல்ஹாசன் அவர்களுக்கு என்னுடைய மனமார்ந்த பாராட்டுக்கள்". 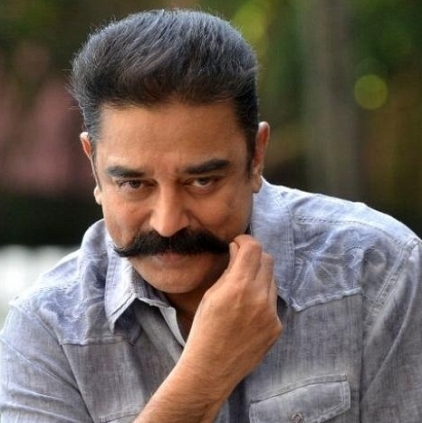 (Engal thalimuraiyin Nadigar Thilagam chevalier arumai nanbar Kamal Haasan avargalukku ennudaya manamaarndha paaraattukkal). Rajini hails Kamal as the current generation's Nadigar Thilagam. Perhaps this is the first time such a title is being bestowed upon Kamal Haasan. Baasha to release before Enthiran 2! Salman Khan signs Sridevi for his next? People looking for online information on Kamal Haasan Chevalier, Rajinikanth will find this news story useful.